As the Burqa scandal enters its second week, Boris Johnson still refuses to apologise for the comments made in his Telegraph column. 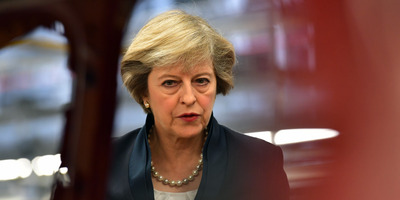 LONDON — Conservative Prime Minister is under growing pressure to launch an inquiry into Islamophobia in the Conservative Party after the row over Boris Johnson’s infamous “letterbox” comments enters it’s second week. The Muslim Council of Britain (MCB), which is an umbrella group of 500 mosques, schools and associations, sent a letter to the Prime Minister stating that Johnson’s controversial comments over the Burka, and the defence of him by a number of Conservative MPs “highlighted the underbelly of Islamophobia” within the Conservative Party. Former Foreign Secretary Boris Johnson was criticised by the group for his “dehumanising comments, ones that mimicked far-right memes and attack muslim women”. Sources close to Johnson reiterated he would not be apologizing however, having previously said “we must not fall into the trap of shutting down the debate on difficult issues”. Johnson is currently subject to an investigation into his comments by Conservative Party Chairman Brandon Lewis, who faced allegations of political opportunism after launching the investigation, being accused of using it as a stick to beat Johnson. Lewis is also criticised in the MCB letter, for his “lack of material response” to previous calls for an inquiry by the MCB. Conservative sources told The Guardian that the Government had ended contact with the MCB in 2009, when Labour was in power. Conservative MP Nadine Dorries was also mentioned in the MCB letter, for “having used the opportunity to whip up hugely hateful Muslim tropes”, after Dorries insinuated the Burka was used to cover up signs of domestic violence. Writing in the Guardian on Wednesday, former Conservative Party co-chair Baroness Warsi said that Boris Johnson’s comments made hate crime “more likely”, adding that his use of “alt-right” language contributed to a viewpoint that Muslim women were “fair game”. 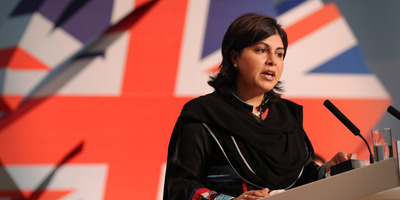 In her piece, Warsi accused Johnson of denigrating Muslim women for his own gain, saying “As a feminist, what really disgusts me in this whole episode is that Muslim women are simply political fodder, their lives a convenient battleground on which to stake out a leadership bid”. Baroness Warsi caused headlines in an interview earlier this year with Business Insider, saying that Conservative Party Islamophobia went “right to the top”. 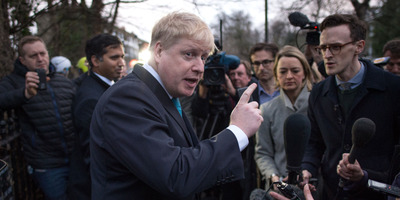 The row comes as new data from the group Tel Mama, which monitors Islamophobic attacks against Muslim people in the UK found that there had been a spike in attacks against Muslim women in the days following Johnson’s column. The group said there was a direct link between Johnson comparing Muslim women with “letter boxes” and bank robbers and a spike in abuse and threats made against women wearing hijabs or niqabs. 21 Muslim women in hijabs or niqabs suffered racist abuse, harassment or threats of violence in the week from August 6, compared with just five incidents in the preceding week.